Triple Glazing Vastly Improves Energy Efficiency. Windows are essential features that enhance a home’s visual appeal, let in air and light and also provide a view of the outdoors. One of the most common reasons to replace an existing window is to upgrade it to improve the energy efficiency of your homes or offices. With the rapid rise of green buildings and the need to optimise energy efficiency triple glazing windows are making their presence felt everywhere. Triple glazed windows are the latest and the most outstanding performing windows. These are the contemporary styled windows that promise a stylish and elegant look for homes and businesses. 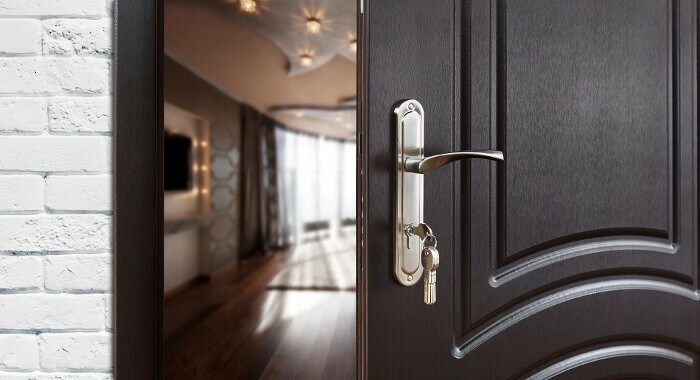 They are becoming increasingly popular as they are touted to reduce heat loss three times more effectively and efficiently than the double glazed windows. The need for triple glazed windows to improve energy efficiency. Homeowners are on the lookout for ways to contribute to the global energy efficiency and significant reduction of energy costs. Yes, energy efficiency is the first step towards reducing our impact on the environment. Windows make a major contribution to energy conservation and comfort. 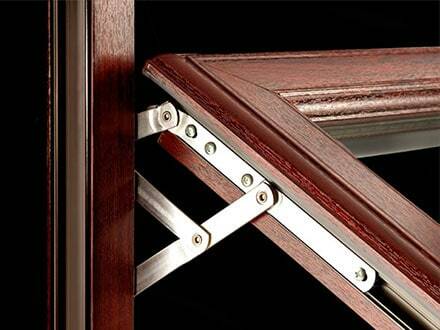 Insulated glazing assemblies are the greatest innovations in windows that provide excellent energy efficiency. Triple Glazing Vastly Improves Energy Efficiency. The triple glazing technology implements a heavier frame and sturdier hardware to accommodate the extra thickness of the three layers of glass. Argon gas is used between the panes to enhance thermal performance without getting into the way of the view. The energy efficiency of your homes can be vastly improved by triple glazed windows which lead to huge reduction of your energy bills and a cosier atmosphere inside your home. How triple glazing improves energy efficiency. The energy efficiency of a home is a crucial factor in maintenance costs. The choice of windows can go a long way in lowering your energy bills and carbon footprint. 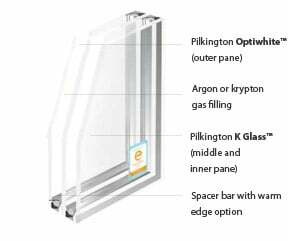 The three panels of glass incorporate two air gaps filled with argon that promises 30% more energy efficiency than the double glazes windows. It also minimises thermal transfer by 80% making it the top choice for energy efficient homes. Triple Glazing Vastly Improves Energy Efficiency. A triple glazed glass fitted in a UPVC window frame assures immense benefits as the UPVC material is an energy efficient material and prevents seepage. Argon between the glass sheets adds layers of insulation to reduce heat or cold transfer making your home more energy efficient and comfortable. As air is a poor conductor of heat this space helps to reduce heat loss through the windows. The U value is the measure of heat loss in a building element. Low U value indicates high levels of insulation and better thermal performance of the building. By installing triple glazed windows you can be assured to have an incredibly low U value. Moreover the extra panel of glass also allows the application of an extra coat of Low E, a reflective coating that bounces back heat. A Low E coating also assures incredibly amazing energy efficiency. Windows are a long-term investment and the smart shoppers opt for the Triple Glazing to improve the comfort of their homes and protect themselves from the rising energy costs. Choose the right company to purchase from and that which offers the best installation services. Opt for the triple glazed windows to significantly reduce energy usage and improve the thermal performance of your homes. Triple Glazing Vastly Improves Energy Efficiency. Give us a call at The Advanced Group today on FREEPHONE 0500 338 488 to find out more and to get a FREE consultation with a helpful member of our team. Or Simply complete the enquiry form on this page.